With more than 90 years’ experience in designing and manufacturing world-class solutions for the professional construction industry, the DEWALT brand represents performance, innovation, and reliability. Tools that carry the DEWALT brand are Guaranteed Tough - engineered to exceed the expectations of building contractors and professional tradesmen, even when tested in the most extreme construction environments. 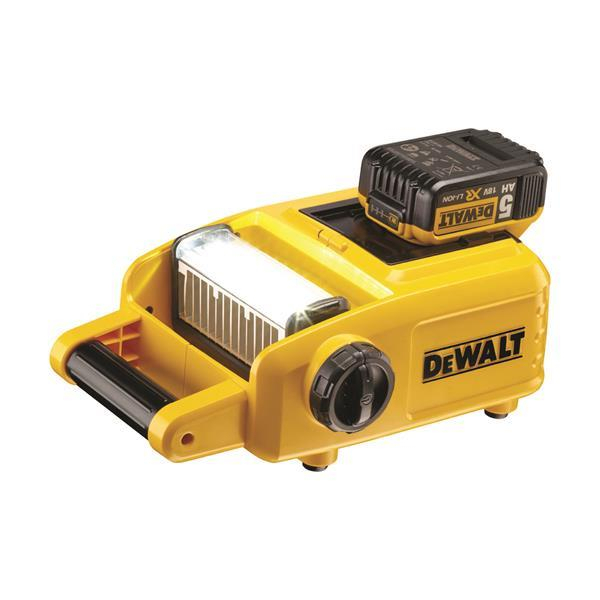 The DEWALT reputation for quality is hard earned, and follows a commitment to providing best in class products that meet the highest levels of durability and end-user protection and DS Hardware are now stocking a new range of DeWalt products to shop online. The DEWALT DCL060 18V / 20V MAX Cordless Worklight features LEDs at 1500 lumens which illuminate without the high heat of Halogens. It has a multi-port battery interface that is compatible with 18V & 20V MAX batteries. An adjustable light head allows the light to be directed where it is needed. This worklight is ideal for portability and use in small spaces, and has a run-time up to 3hrs long. Batteries sold separately.